Miss Colonial Beach 2018 - Dwyer Neal! 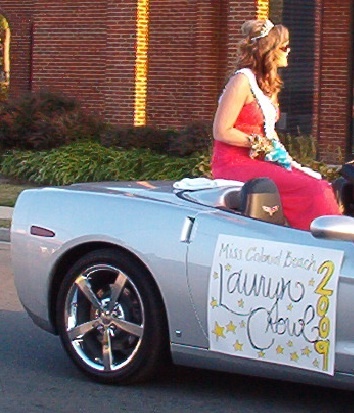 The annual Miss Colonial Beach pageant is held in June, on the same weekend as the Potomac River Festival. 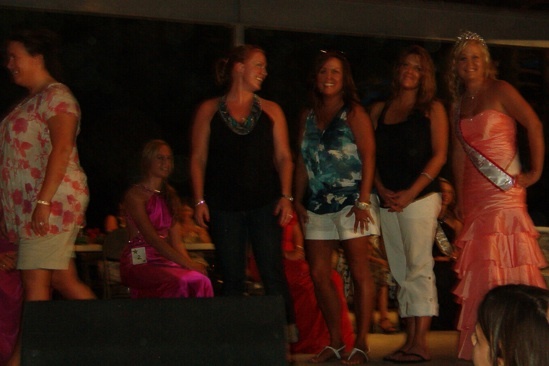 The Festival's theme for 2011 was "Now and Then" so some past Miss Potomac River Festival/Miss Colonial Beach winners took the stage with 2010's winner, Katie Pitts (pictured, right). Girls from the ages of 16 to 20 who have never been married or had a child may apply. Contestants participate in the Firemen's parade, and the contest is held directly afterwards. The winner rides in the Potomac River Festival Grand Feature Parade the next day. The Baby Contest as well as Little Miss, Junior Miss and Miss Colonial Beach Fire Department Contest is usually held in mid-May and covers age ranges from 6-12 months, 1-2 years, 3-4 years, 5-6 years, 7-9 years, 10-12 years and 13-15 years old. Little boys as well as girls participate in this. 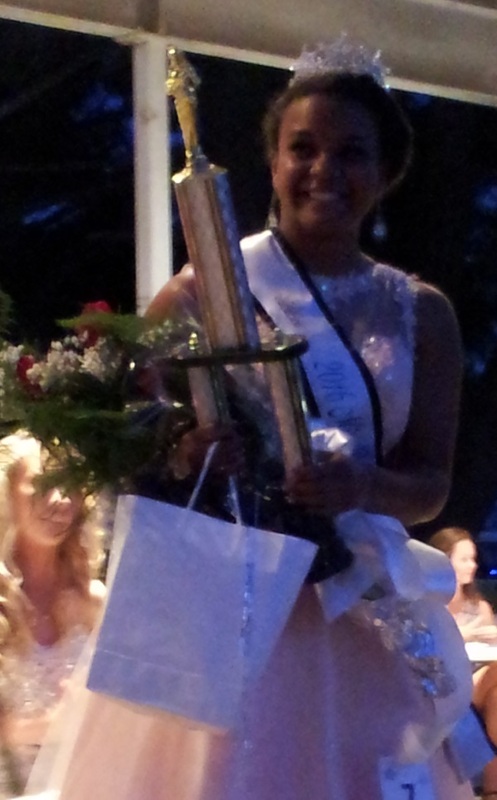 Miss Colonial Beach 2014: HANNAH ASHLEY! 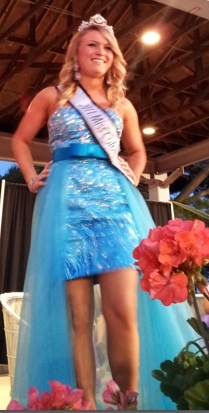 The 2013 Miss Colonial Beach pageant was rescheduled to Saturday, June 8th due to weather. 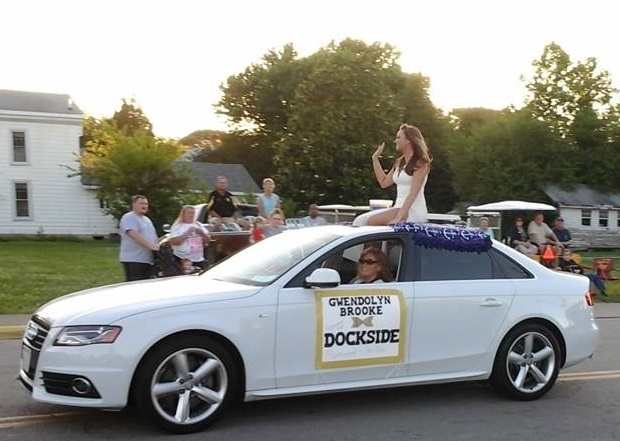 It immediately followed the Grand Feature parade and took place on the Town Stage. 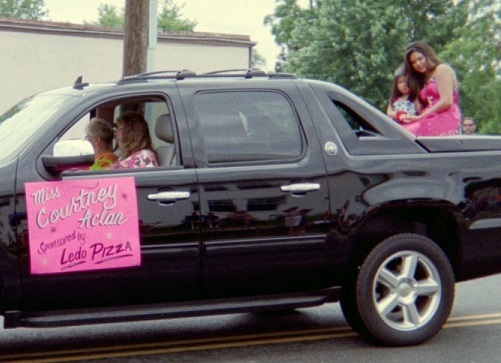 All pageant participants rode in the parade.